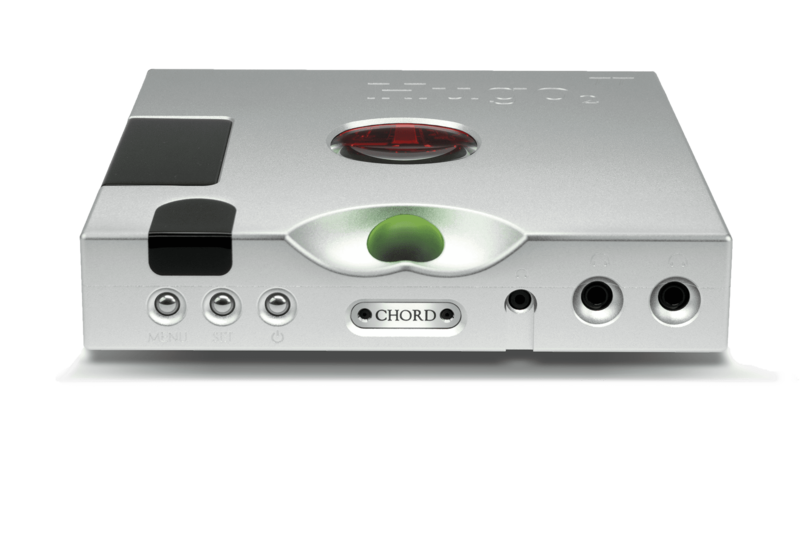 Chord Hugo TT 2 – IN STOCK! The Hugo TT 2 offers five times the processing power of the original Hugo TT (offering a 98,304-tap 16FS WTA 1 filter) and deploys 86x 208MHz DPS cores in parallel to create the WTA filters. The Hugo TT 2 also benefits from an extremely low noise floor of -178dB with no measurable noise floor modulation. The device’s highly advanced 12th-order noise-shaper, which uses 10 Pulse Array elements, is much improved over the original with well over 100,000 times more resolution than before, resulting in greater detail resolution and perception of soundstage depth. 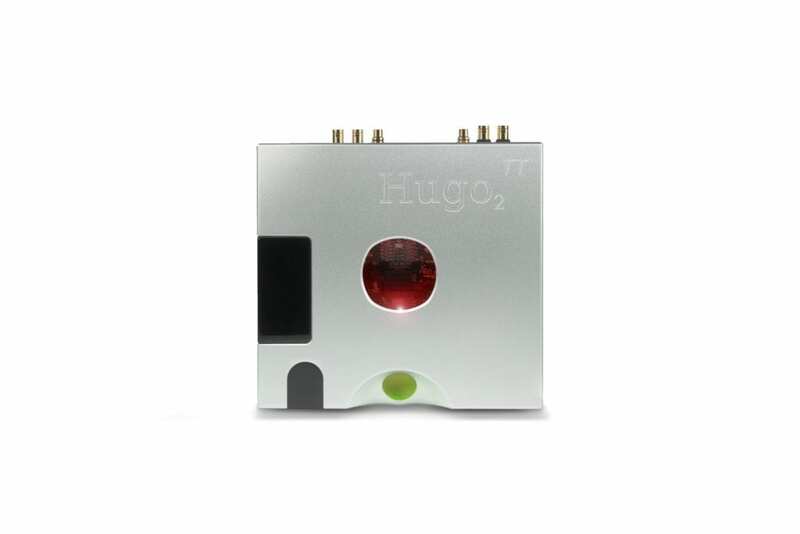 In addition to its internal upgrades, the Hugo TT 2 also benefits from a number of external improvements. 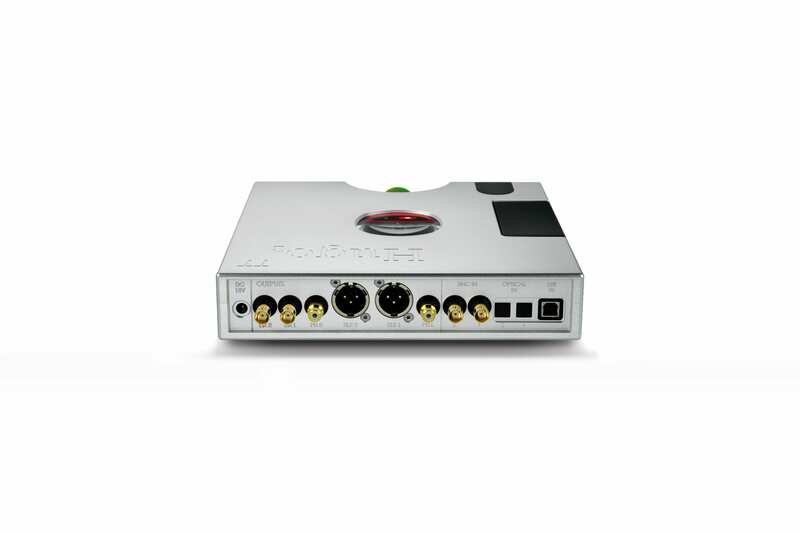 For added versatility, the number of digital inputs has risen to six and includes HD USB-B, 2x optical and 2x coaxial BNC (up from one each on the original) plus extended-range aptX Bluetooth. Three headphone outputs are also included: 2x 6.35mm and one 3.5mm, with simultaneous operation. The casework has been significantly redesigned to include front-panel buttons (Menu, Set and Power) to cycle between and select filtering and crossfeed modes, plus switch inputs and control power. The new design also includes a larger, top-mounted viewing window for the internal circuits, a larger volume control sphere, plus an improved LED display. The device retains its remote control functionality, sharing a handset with Hugo 2. Further outputs include balanced XLR and unbalanced RCA analogue connections, plus dual BNC DX outputs for use with future Chord Electronics’ devices. The new Hugo TT 2 now offers user-selectable audio controls, accessible both on the front panel and remote control, including an advanced four-stage filter offering incisive/neutral to warm sonic signatures with high-frequency roll-off, giving additional flexibility for a wide range of digital music files, such as DSD and High Res Audio. For headphone listening, the Hugo TT 2 retains the popular digital crossfeed function of the original and offers three operation modes (min to max) from its dedicated control sphere. The system cross-feeds a partial 250 micro-second-delayed and equalised signal from each left and right output to the opposite channel. The system duplicates the effect of listening to speakers and also improves the perception of depth when listening via headphones. The Hugo TT 2’s comprehensive digital connectivity suite includes a galvanically isolated HD USB-B connection capable of decoding 768kHz PCM data and DSD 512. The unit’s two optical TOSLink inputs are 24-bit/192kHz-capable (with the appropriate source and cabling) and the dual BNC coaxial inputs are 24-bit/768kHz-capable for connection to Chord Electronics’ M-Scaler technology as seen in the BLU MKII digital/CD transport. Hugo TT 2 is highly flexible, too. It can be used in pure DAC mode, enabled for high-power (incl. low- and high-gain modes) when headphones are connected or used in amp mode for use as a digital preamp or when directly driving efficient loudspeakers. Despite its technical complexity and powerful output, the unit’s topology remains simple with just two resistors, two capacitors and one global feedback path, so the connection from the digital domain to analogue is very direct for maximum transparency. Dynamic range: 127 dB A wt.